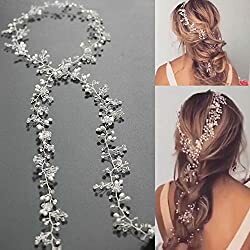 These are a lot of my favorite wedding hairstyle, bride hair ideas, and bridesmaid hairstyle ideas – also great prom hair ideas too! 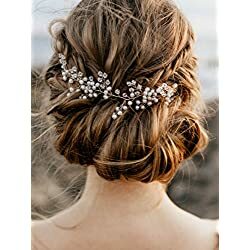 I’ve got LOTS of wedding hair pictures below! 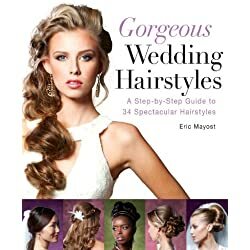 Please feel free to pin any wedding hairstyle picture you like to Pinterest so you can show you hair dresser when you’re planning your wedding. 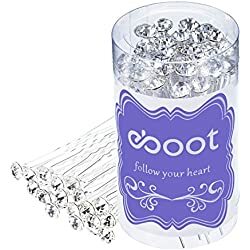 Brides get that once in a lifetime chance to feel like a princess for a day, and that single moment should definitely be like a dream come true. With millions of choices to be made and hundreds of details to tackle, don’t be stuck in the whirl of it all. 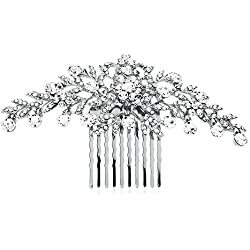 Make sure you get everything perfectly in order, starting with your bridal look. 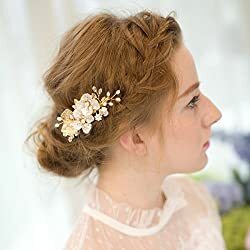 Let’s take a look at lots of wedding hair ideas below. 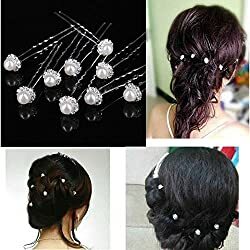 I’ve collected a LOT of hairstyle idea pictures. The theme of the wedding should represent you and your husband-to-be as a couple, focusing on the kind of relationship both of you share. 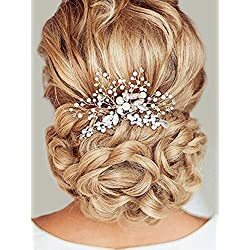 On the other hand, the theme of the bride’s look should embody the woman within – who she is and what will she be in the coming years as a Mrs.
To help you in assembling the wardrobe, we’ve jotted down a few tips on where to get your wedding day hair’s inspiration and how to put it into reality. Another method is to browse your previous photos in different haircuts and style to know if you look good with an up-do or not. Ideally, it would be good to get at least 3 hairstyles for inspiration early on and you’ll get ample time for choosing later. Browse through wedding magazines, watch the runways and surf the net – be updated with the trends of the season. If you’re eyeing your favorite celebrities’ hairstyles, go ahead and print a copy to be filed. Seeing it in person makes it easier to imagine on yourself – if you can find a volunteer, be sure to pick one with the same hair length as you. Stick to the theme. If you are going for a beach wedding, a tight sleek bun might end up looking too formal on the day itself. Still keep in mind that the entire event has a theme for uniformity and don’t forget about your dress as well. Take into consideration the neck line, details and the veil’s cut when scanning through hairstyles. 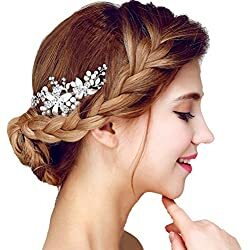 Step by Step Wedding HairstylesGet More InfoExpertly speaking, Bring those hairstyle photos down to your hair stylist and have a good chitchat. Also have the sketch of the gown to serve as a basis and for comparison’s sake. 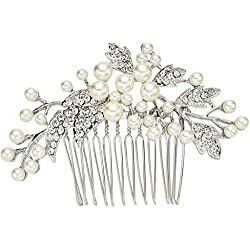 The visit should be done at least 6 months before the wedding, enough time for color treatments to sink in, trimmed ends to grow and for final cuts to be made. Once you have agreed on one hairstyle, go ahead and have a sample run to see how it looks and to know how long the styling takes. Do know that after you have said ‘yes’ to a hairstyle, there’s no turning back. You don’t have a problem with commitment, do you? Get Second opinions! And third, fourth, fifth opinions. 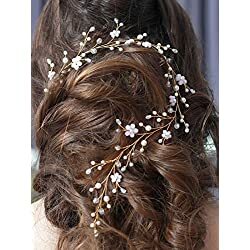 It’s WEDDING hair and you want to be sure you get it right. At the trial run, take a photo of how the hair style looks on you and show it to the girls. Your sister, mom or bridesmaids may give you honest feedback regarding the look. If it looks great, then one item on the to-do list is checked complete. If it isn’t cut out for you, then the earlier you know, the earlier you can go back to Step 1 until you get it right. 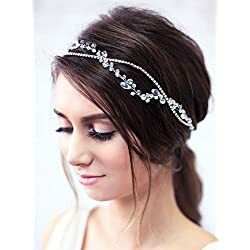 Your hair is your best accessory – own it and make sure that there’s no reason for you not to be the blushing bride you’ve always dreamed of being.